Rio Salado staff visited Wilson Elementary School in Phoenix to drop off book and supply donations that were collected during the college's 2015 Valley of the Sun United Way Giving Campaign! 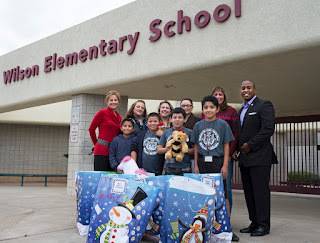 The group, which included Vice President of Student Affairs Dr. LeRodrick Terry, staff from the Teacher Education department and members of Rio Salado's United Way committee, met with 4th-8th grade teachers and students on Friday, Dec. 11 to share the donations. 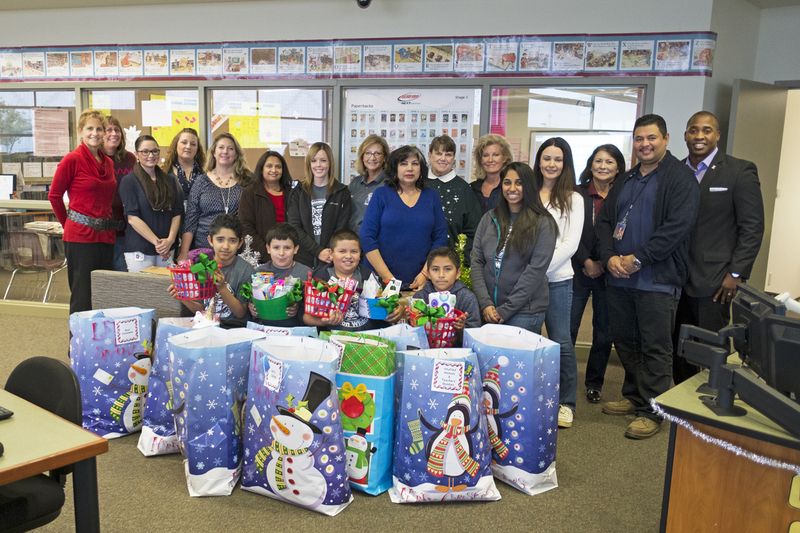 A big thank you to Rio Salado staff, students and members of our community who dropped off book donations and monetary gifts during our fall campaign. To learn about ways you can give, advocate and volunteer with the Valley of the Sun United Way, visit www.vsuw.org.